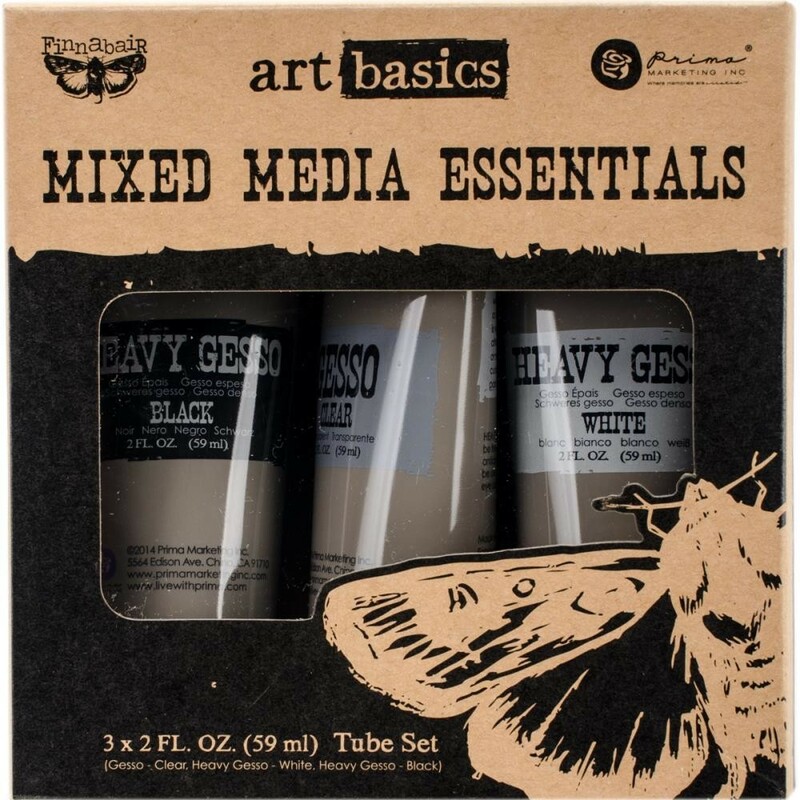 Prima Marketing-Finnabair Art Basics Mixed Media Essentials: Clear, White And Black Gesso. Perfect for priming journal pages, home decor items, tags, collage pieces and other mixed media projects! This package contains 2oz of clear gesso, 2oz of white heavy gesso and 2oz of black heavy gesso.